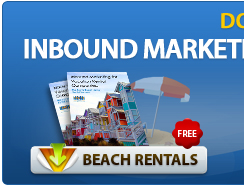 The peak season for many vacation rental companies has ended, but 2015 marketing efforts are revving up! Here are five tips to help your pre-booking efforts! Are you staying in touch with previous renters? If not, now is the time to setup your vacation rental company workflows. This will enable your marketing department to send out automated email messages to your previous renters providing them with valuable content about vacationing in your area and delivering promotions as well. 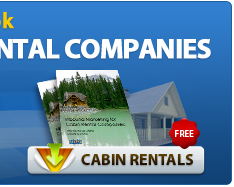 If they enjoyed their previous experience with your company and desire to vacation in the same area, this can be a simple and easy way to keep your rental homes top of mind and create early bookings. We all know how busy the peak season can be, so use slower time to create content plans and blog schedules for the upcoming season. This will help you stay on track when the season is in full swing and you will not have to come up with vacation rental content ideas on the fly. These are just a few tips and tricks that can make life easier in the long run while bringing in more early bookings. The more early bookings you receive for 2015 now, the less you will need to push to finish bookings during the peak season. Have other ideas that you think can help bring in more 2015 bookings? Comment below!